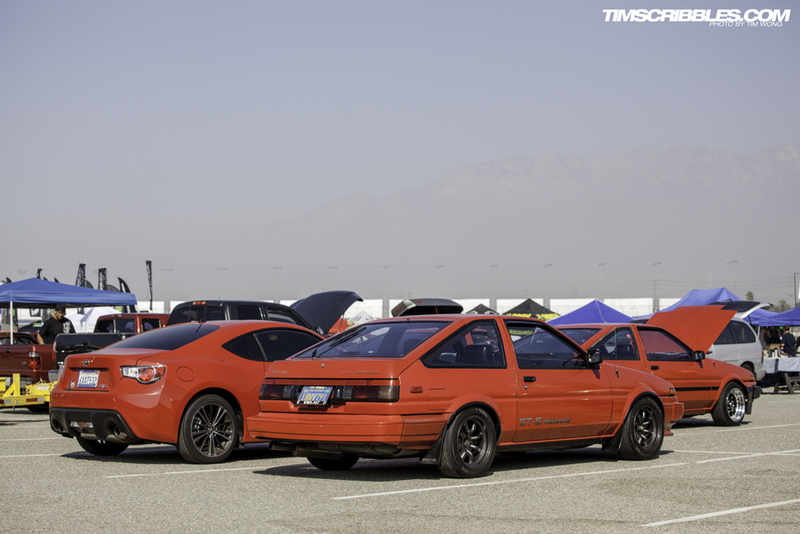 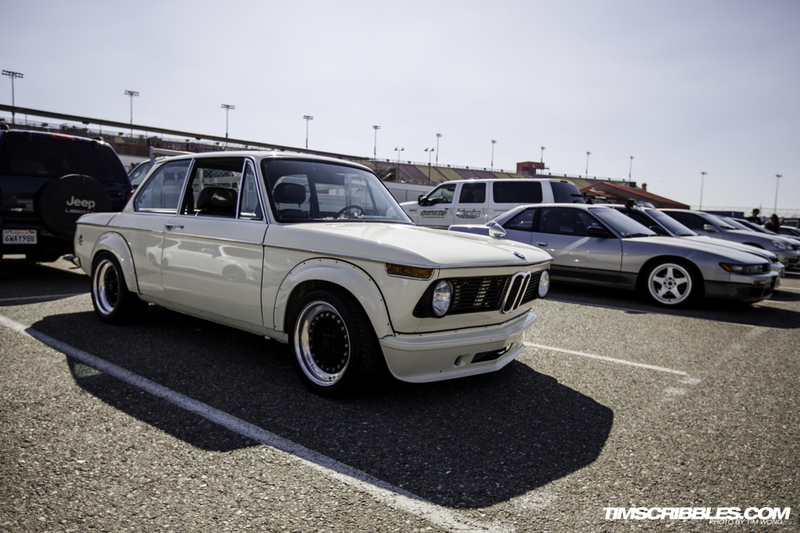 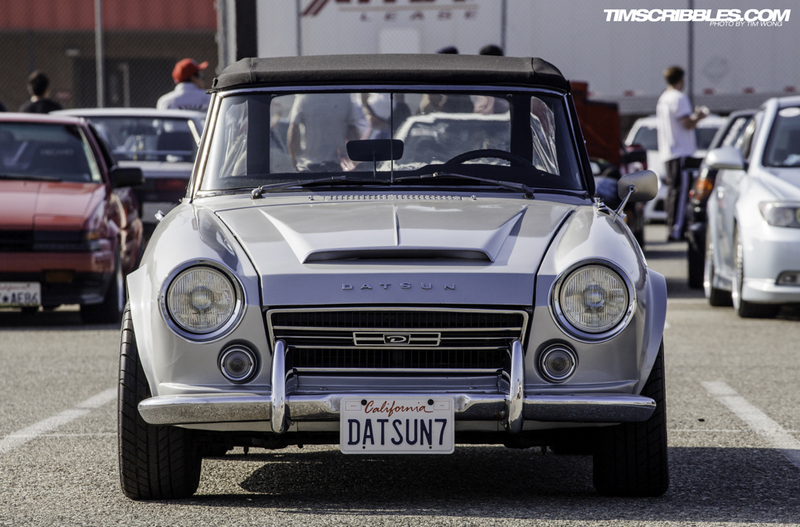 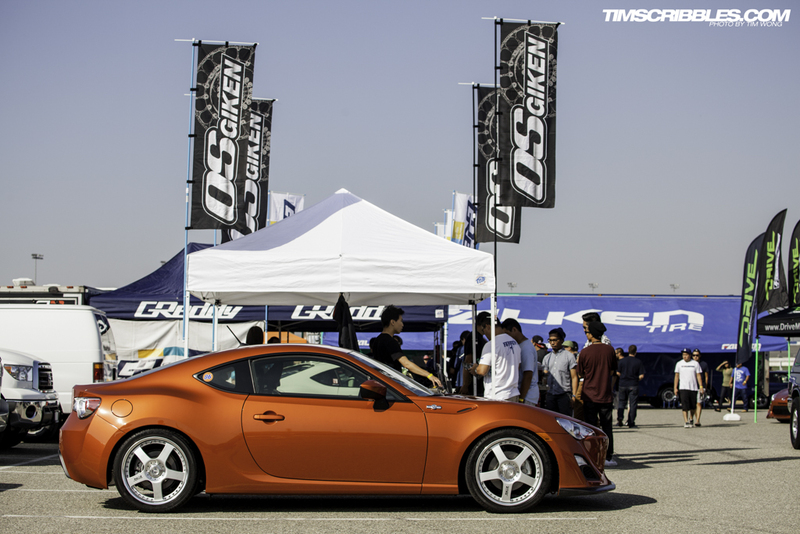 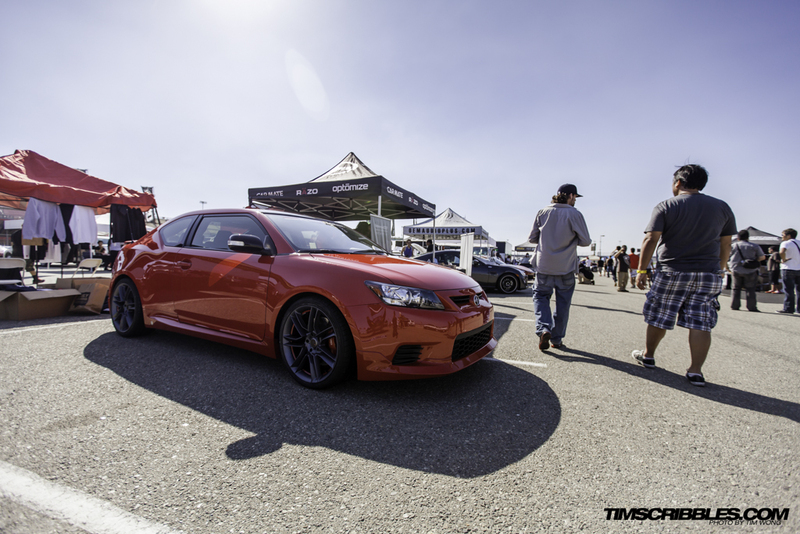 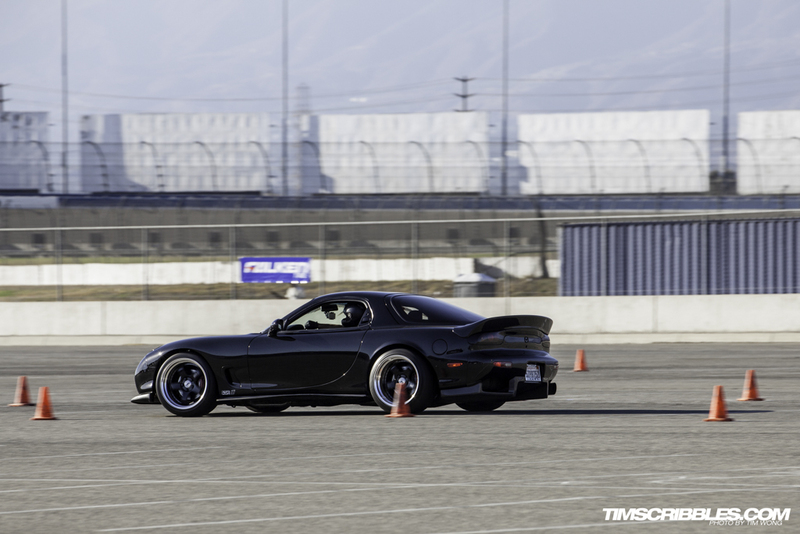 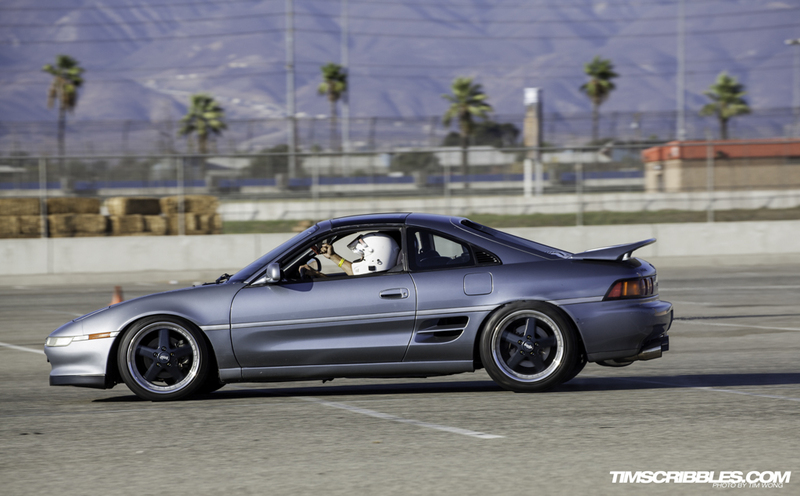 Last Sunday, Matt and I rolled out early in the morning to Auto Club Speedway for the Speed Ventures event along with 86FEST. 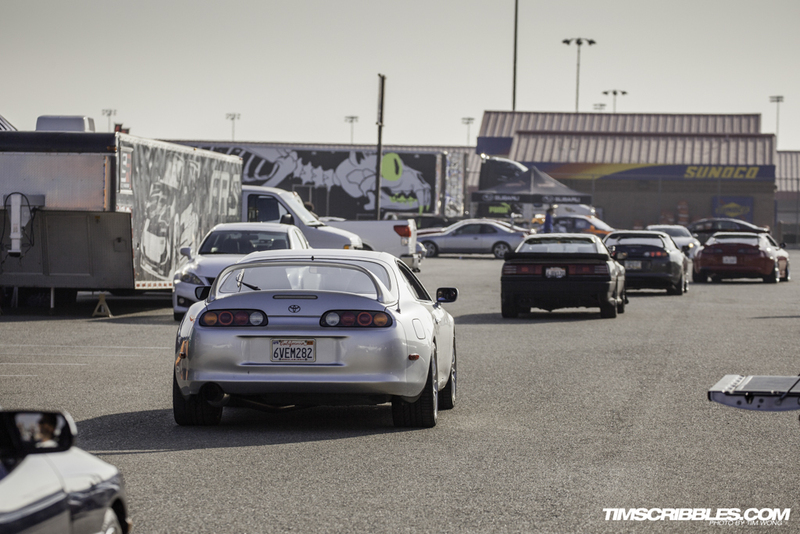 While Matt was running laps around the roval, I was walking around shooting. 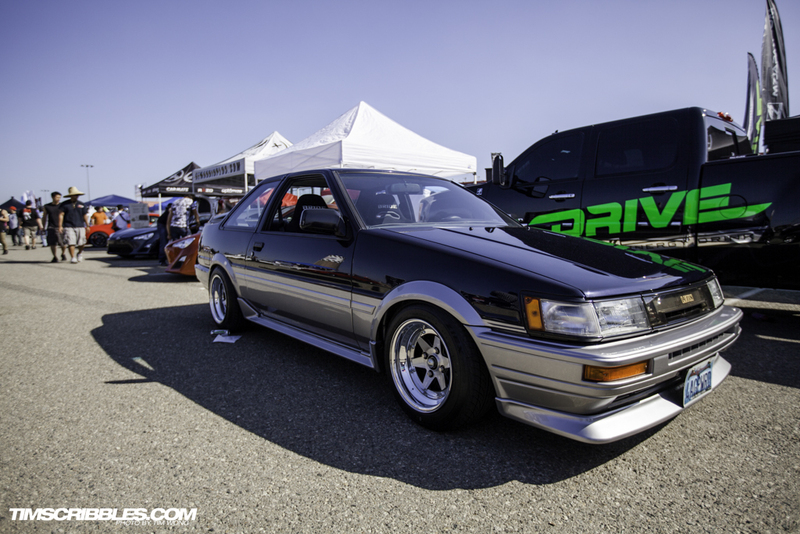 Of course, I was much earlier than the start time of 86FEST so I grabbed some shots while the event was just starting to get set up. 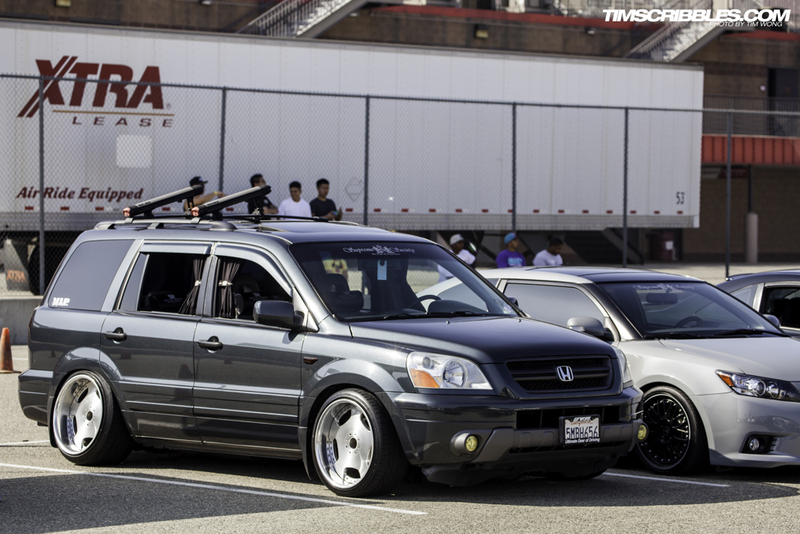 One of the first cars that really caught my eye was this Acura TSX wagon with some VIP styling. 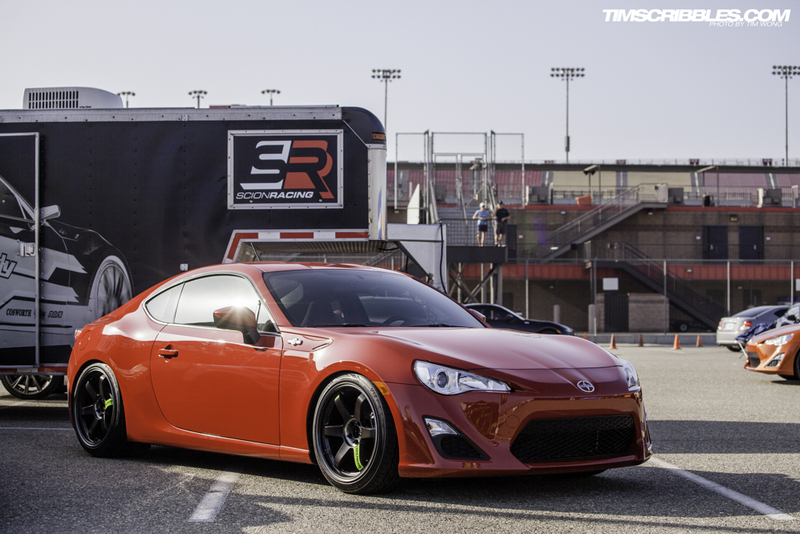 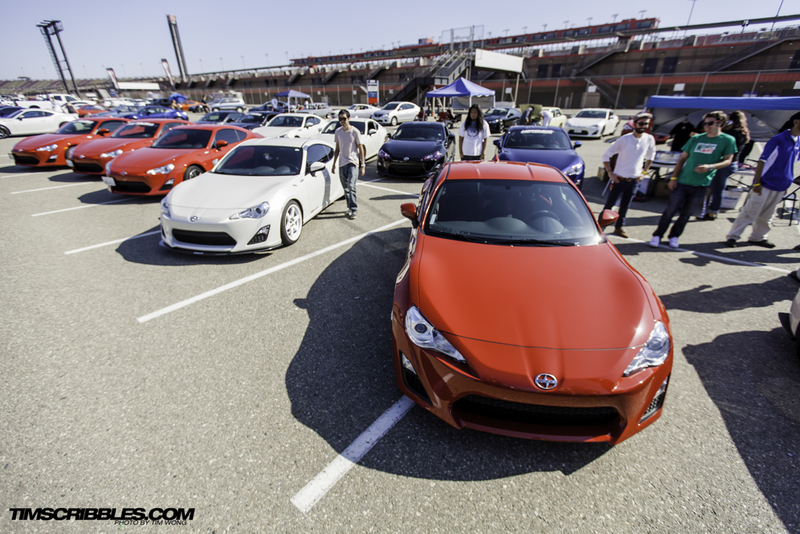 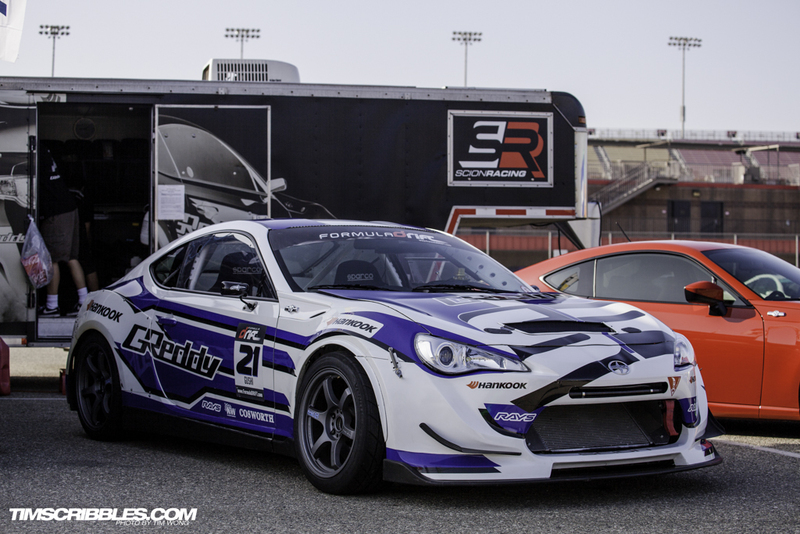 Of course there would be plenty of Scion FR-S’ and Subaru BRZs present. 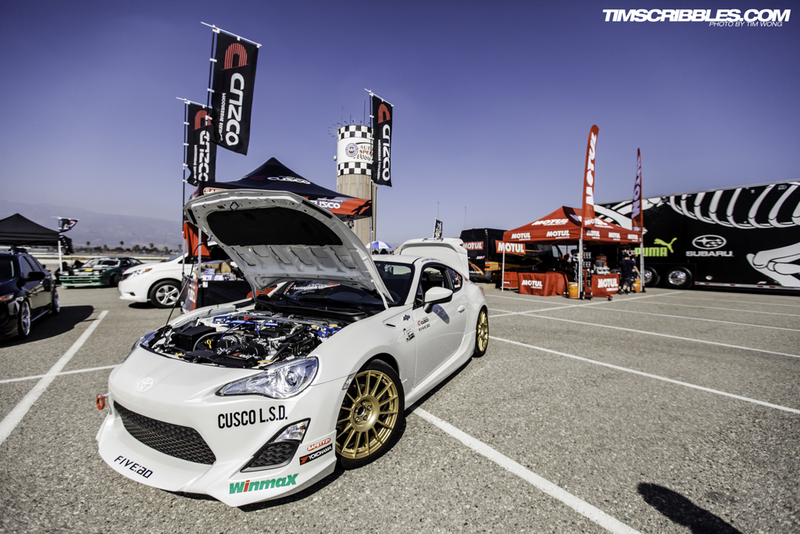 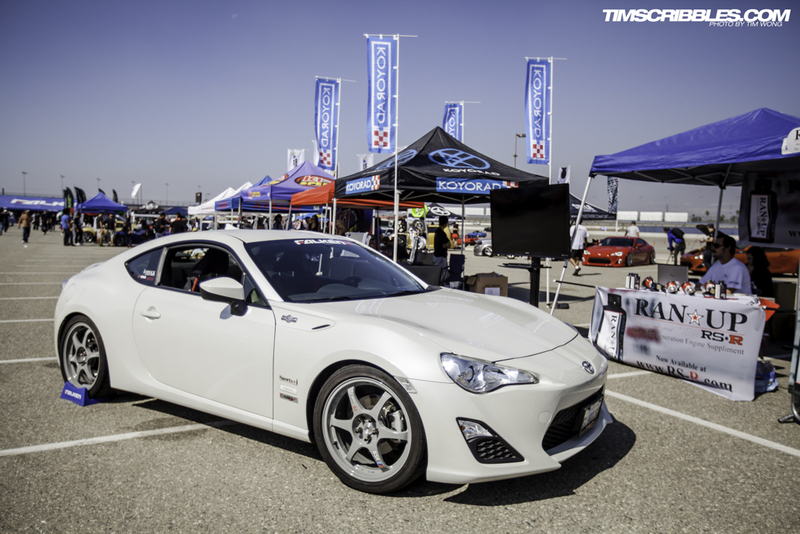 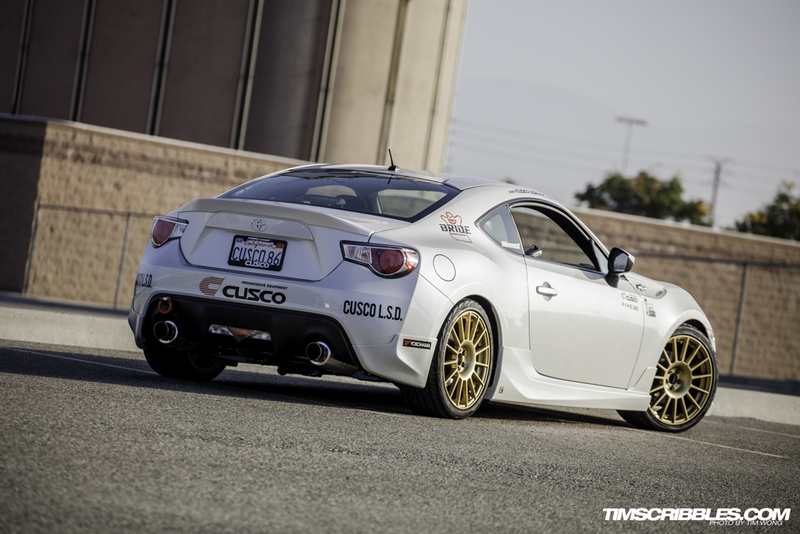 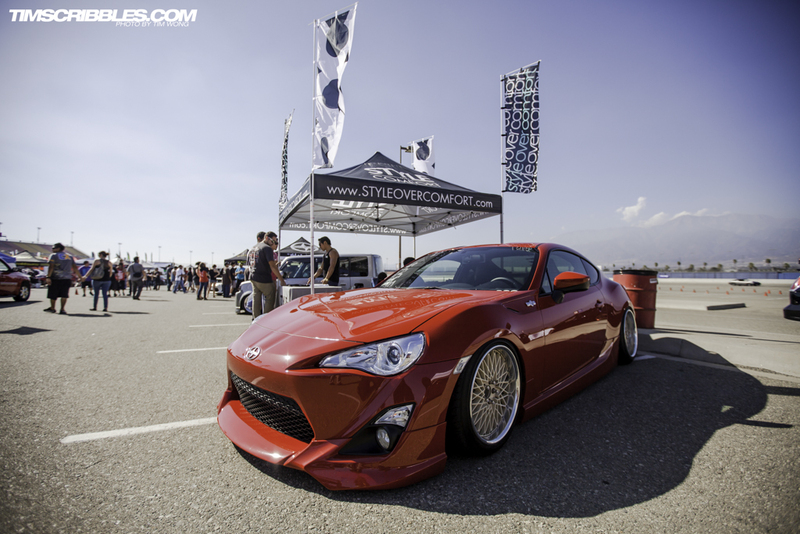 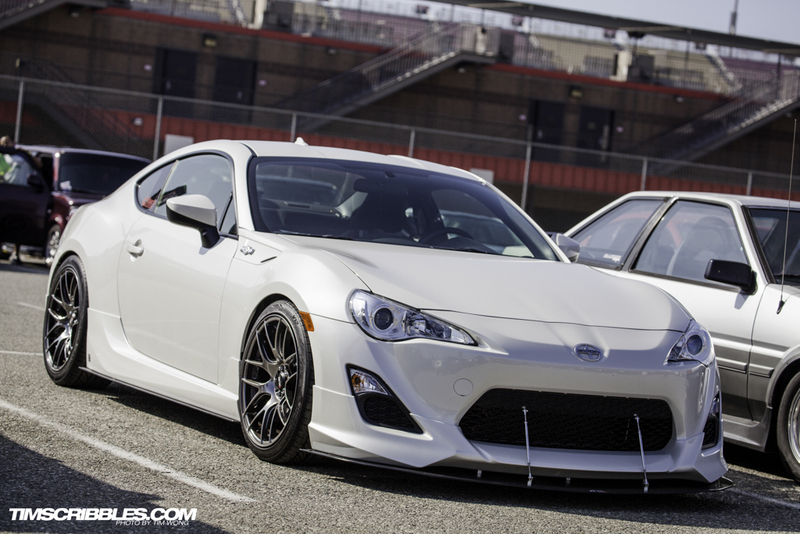 One of the earlier modified FR-S’ was this white one. 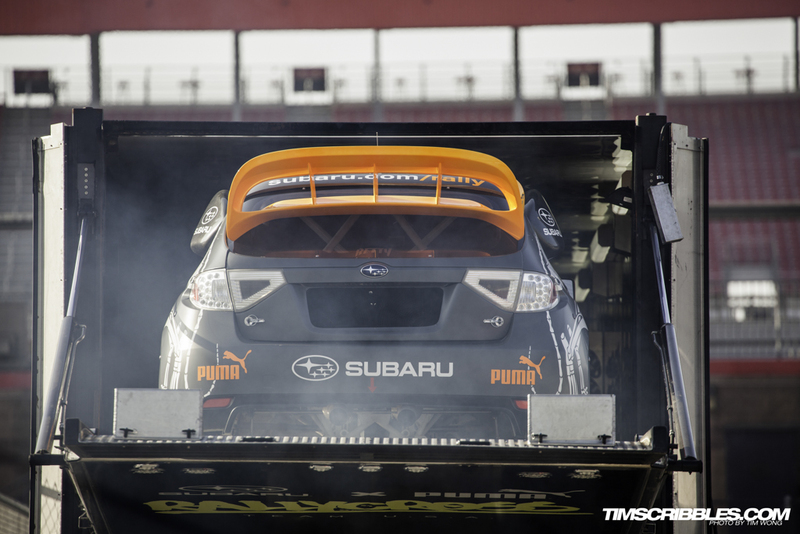 Bucky Lasek’s Subaru that we saw just the week before in Las Vegas at the Global Rallycross Championship, which we’ll have coverage of very soon. 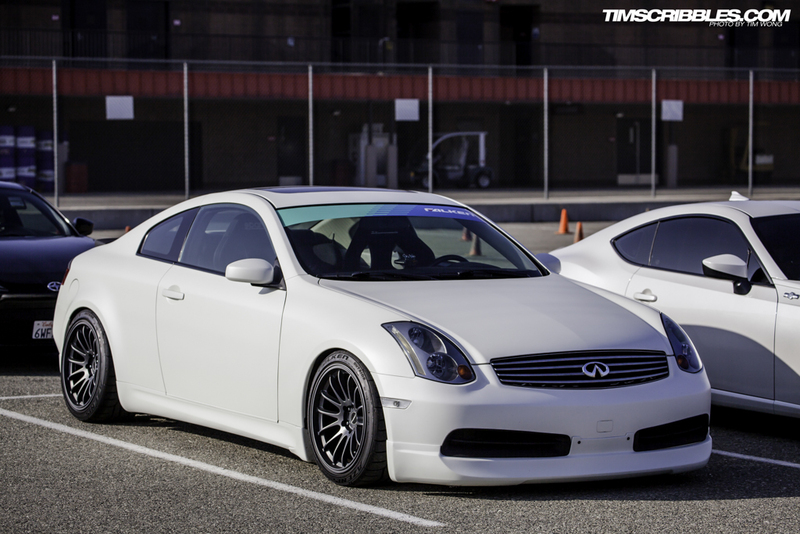 A really nice looking Infiniti G35, but the Falken banner really caught my eye. 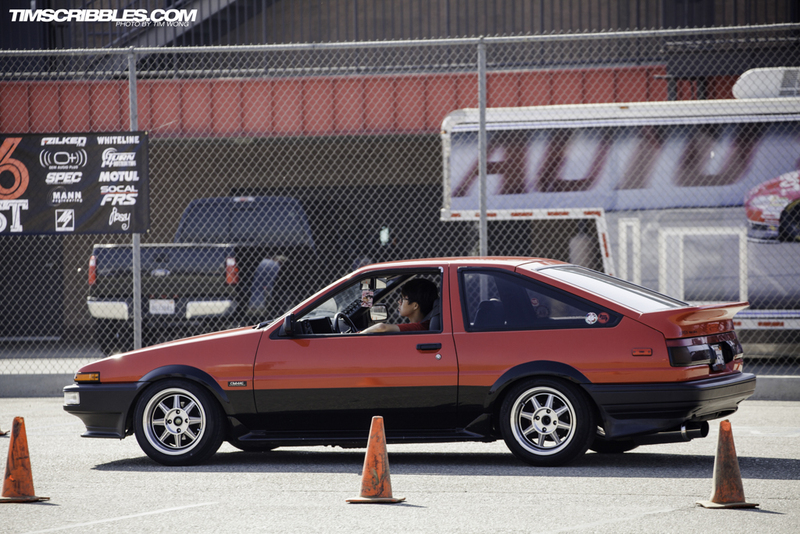 Across from the show, they were running a small auto cross course. 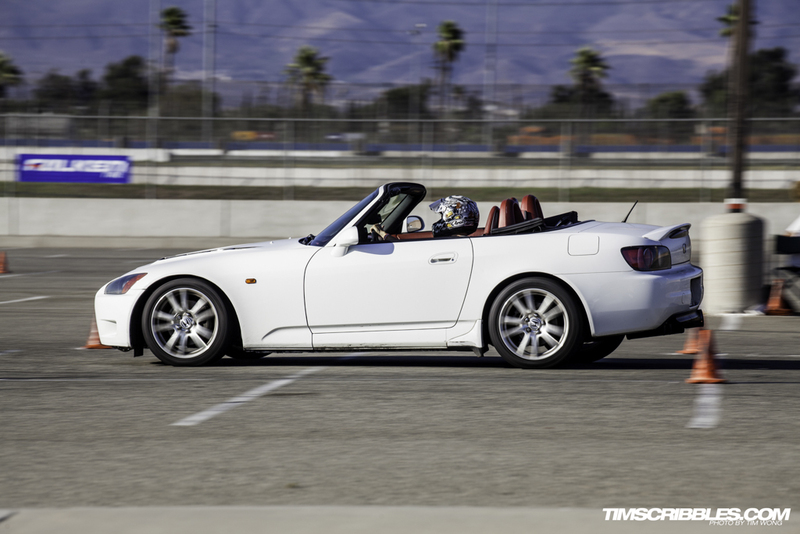 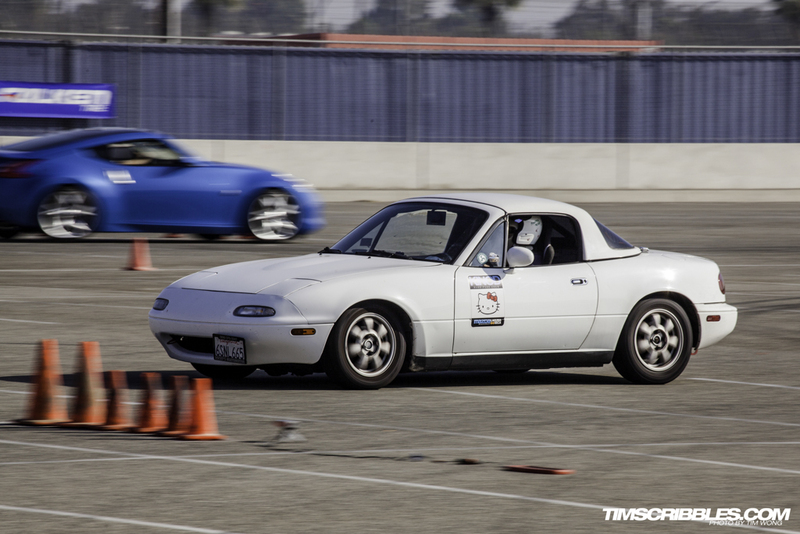 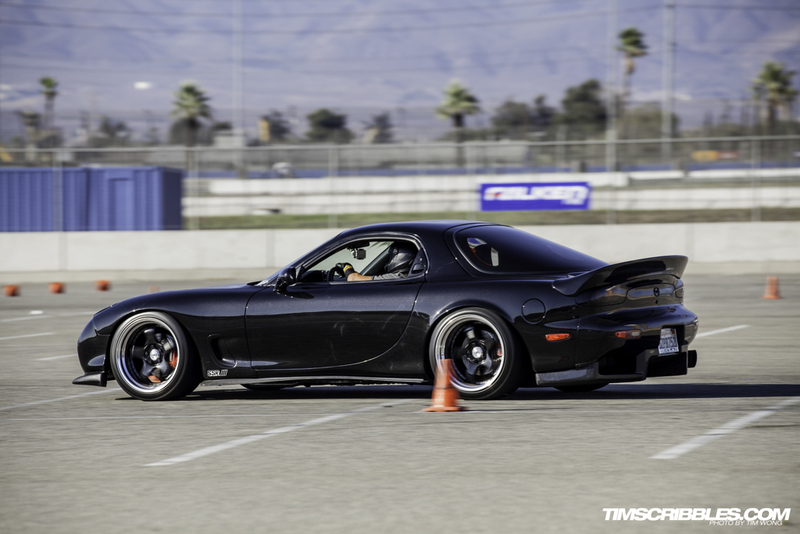 Here’s Michael Hom running his Hello Kitty NA Miata which had a feature here on this site a while back. 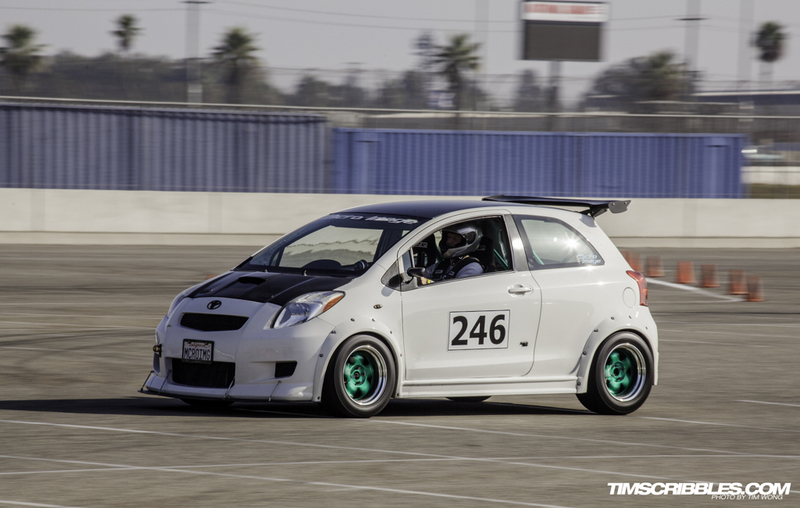 The Micro Image Yaris also running some laps. 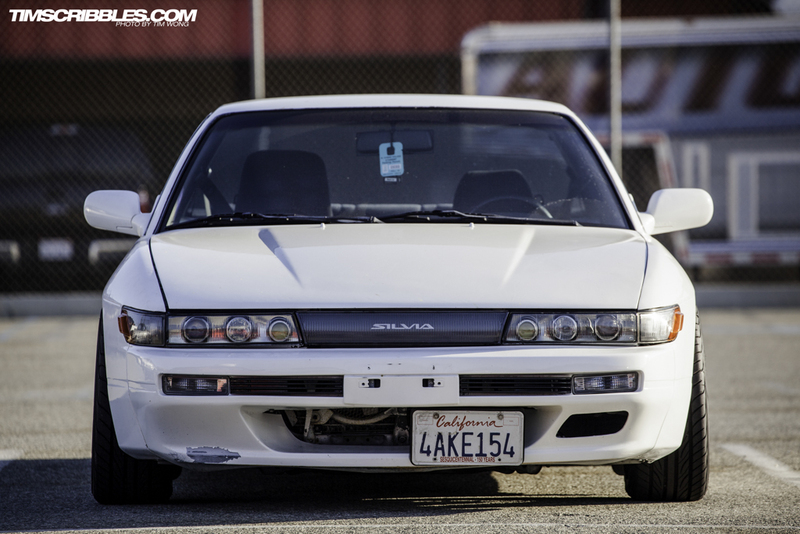 It has been a while since I’ve seen this car anywhere. 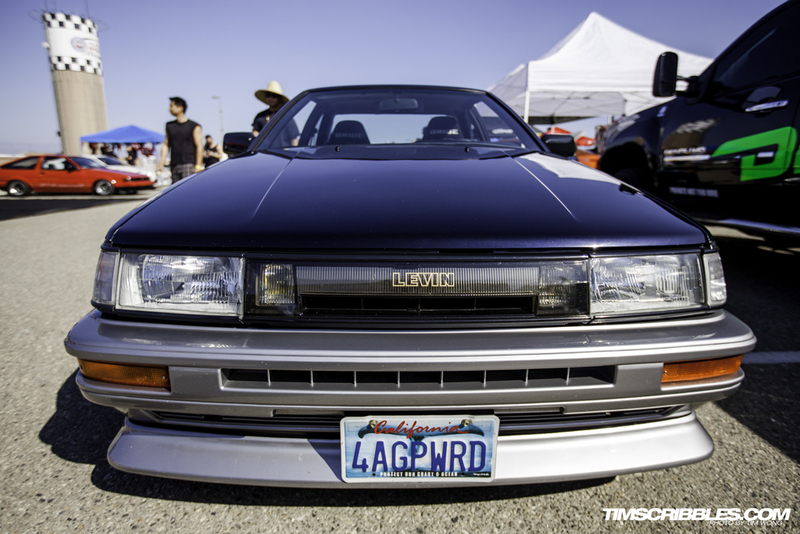 Lexus GS300 rolling up aired up. 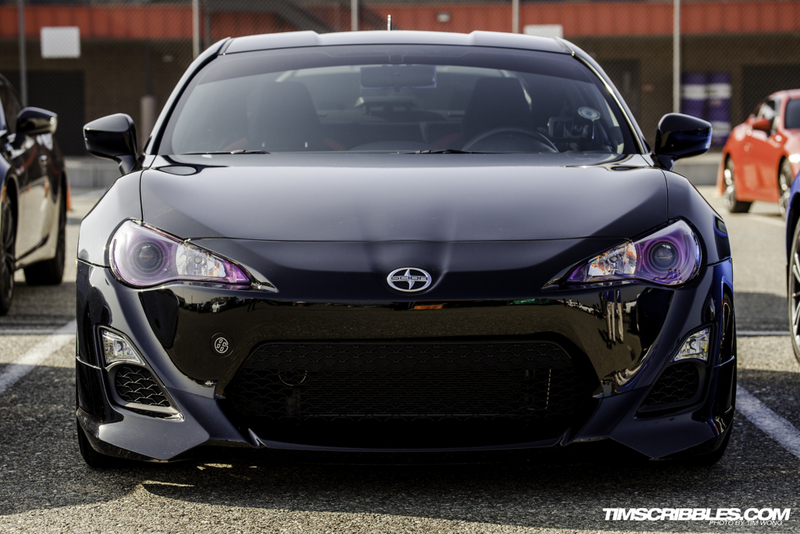 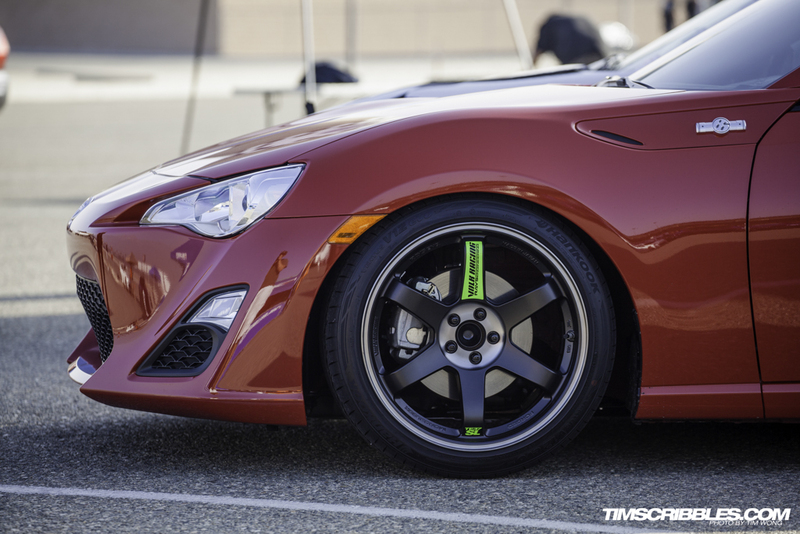 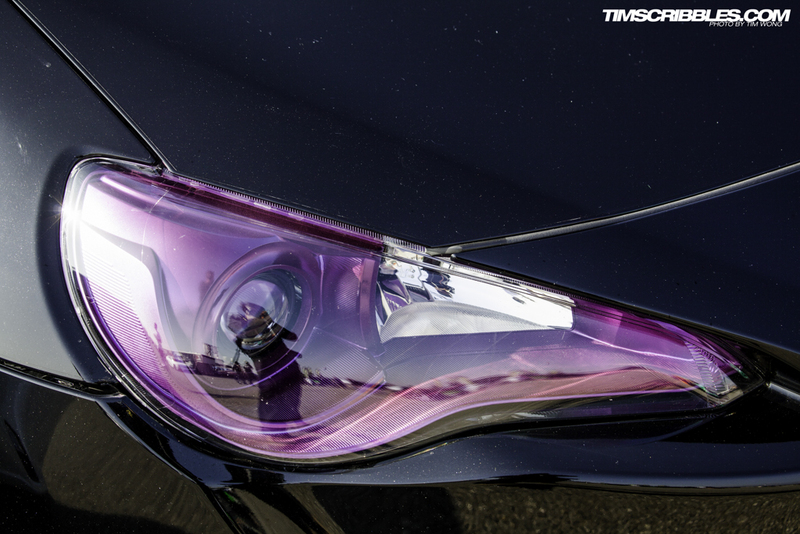 Interesting headlight modification on this FR-S. 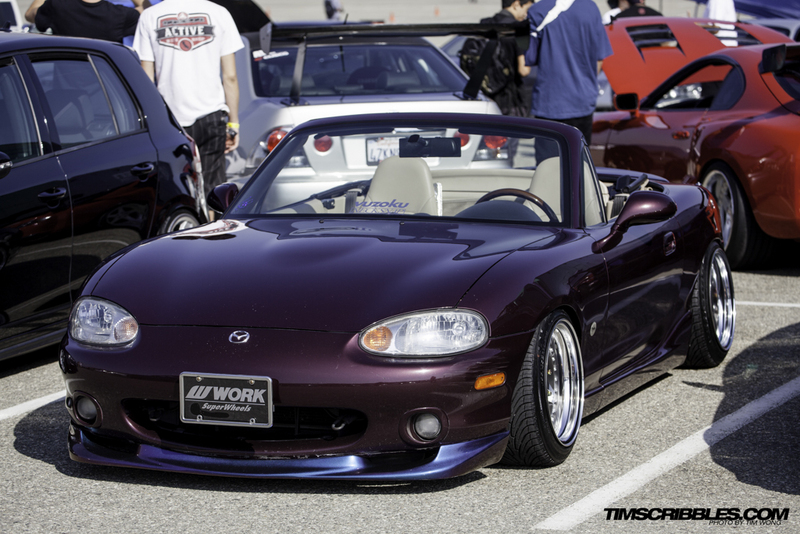 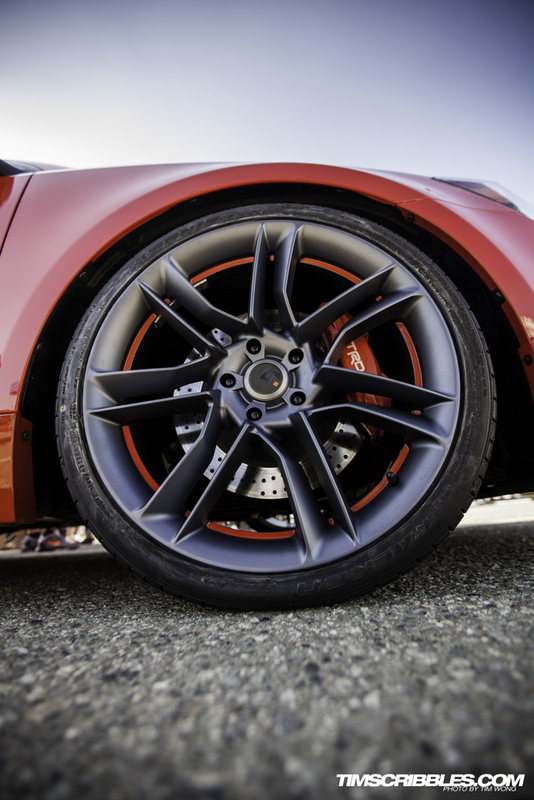 The front lip painted with some neochrome-esque paint scheme. 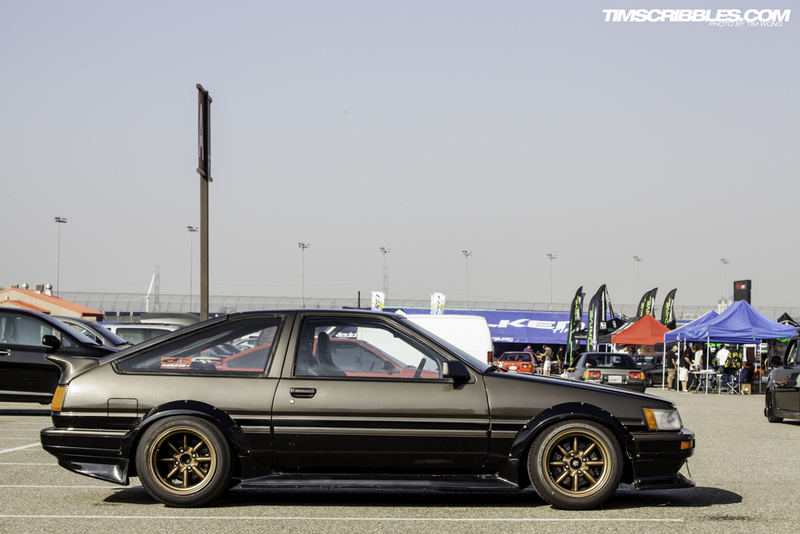 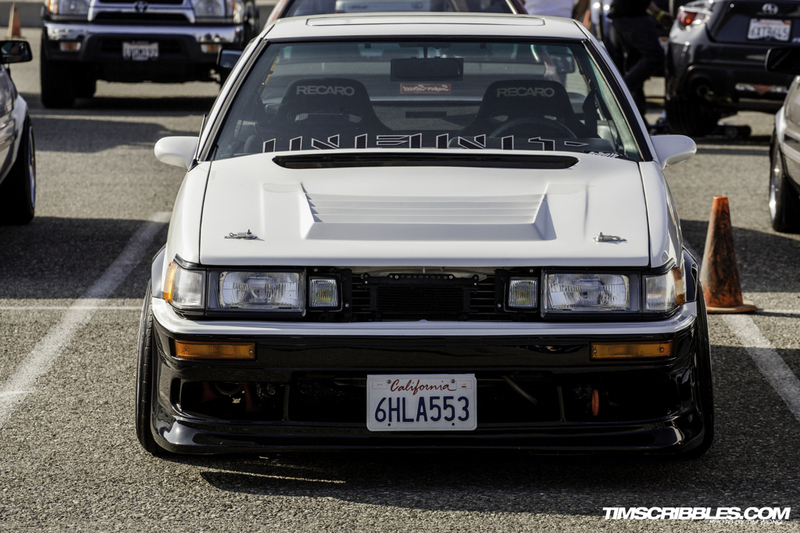 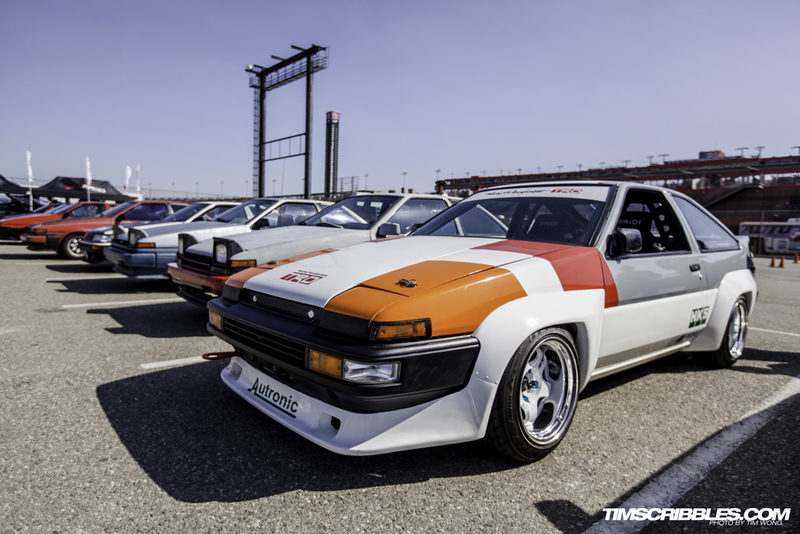 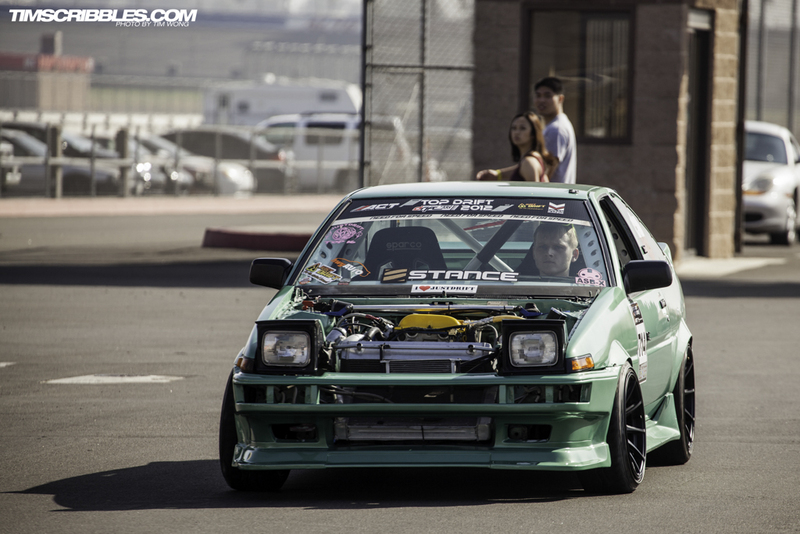 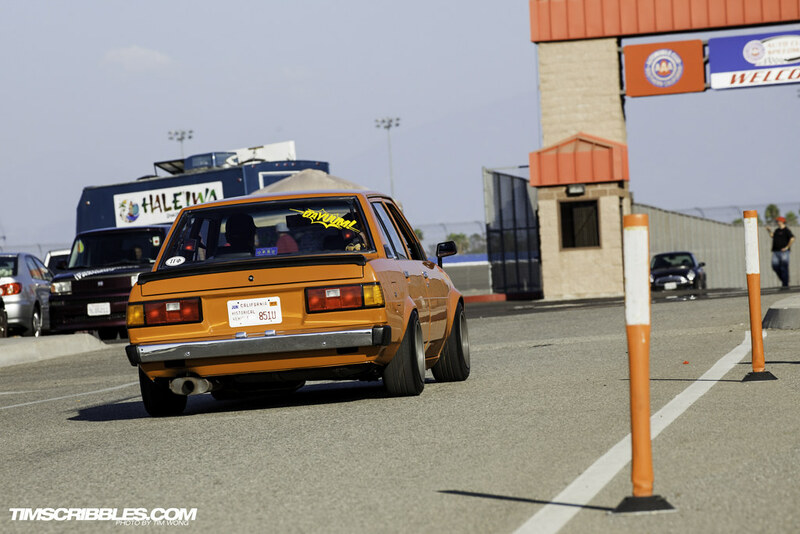 John Ly’s AE86 is probably one of the nicest ones I’ve seen around. 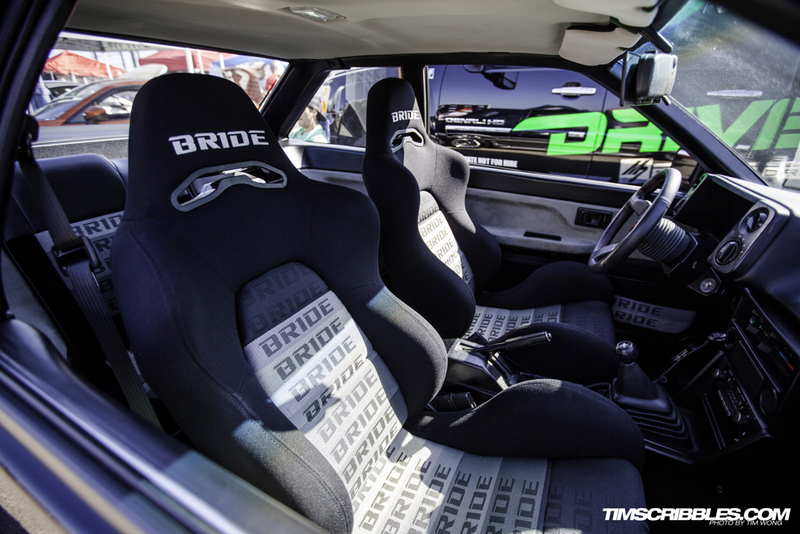 One of the vendors had these cool custom shift boot designs. 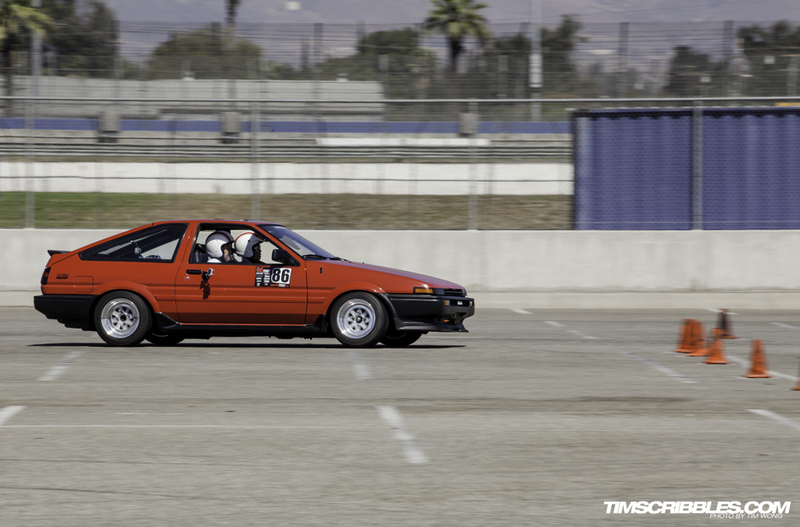 Back over at the auto cross side, I grabbed a couple more shots of cars running the course. 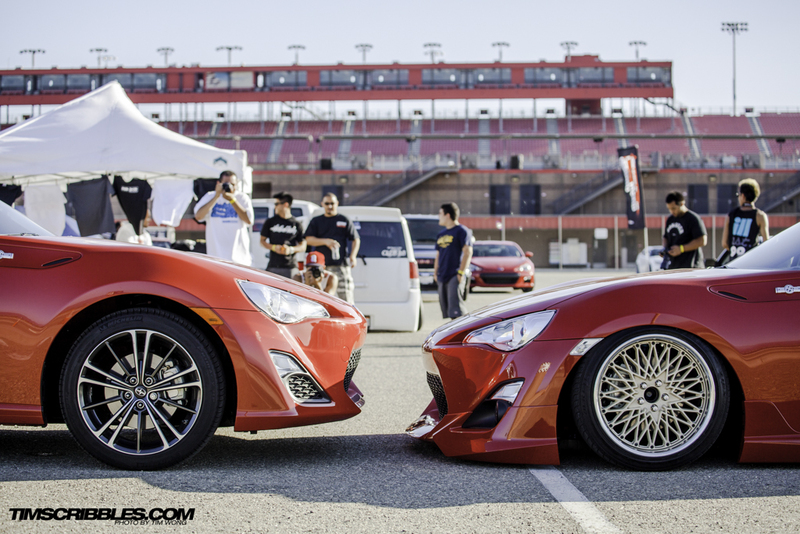 Towards the end of the day, I started walking back over to the garages to pack up and caught these two FR-S’ parked face to face.